MediaTek says that it will "redefine the Android tablet industry," with the introduction of its new ARM Cortex A72 based SoC. The 64-bit MT8173 is designed to make the most of ARM's latest processor cores tailored to tablet computing experiences. As such the new SoC is said to process 4K Ultra HD content and graphic-heavy gaming with aplomb. 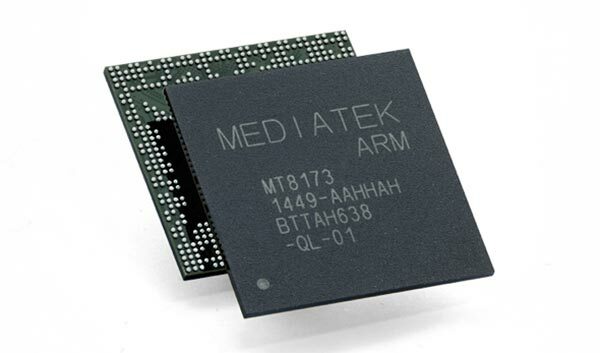 The MediaTek MT8173 SoC is said to offer a six-fold performance increase over 2013's MediaTek MT8125 processor. This new heterogeneous processor runs at up to 2.4GHz. Joe Chen, Senior Vice President of MediaTek said of the new SoC "By presenting CPU specs that outperform any other device currently on the market, we are bringing PC-like performance to tablet form factor, reinforcing MediaTek's continued commitment to deliver premium technology to everyone across the globe." Chen added that the MT8173 could help shift the way in which Android tablets are used, as they will offer significantly improved multimedia performance and power usage. MediaTek says that OEMs are incorporating its new SoC into designs right now and it expects to see it in devices on the market in the second half of 2015. The chip is being demonstrated at MWC this week alongside other MediaTek new products such as the 'WorldMode' MT6753 64-bit Octa-core Smartphone SoC, the MT3188 multi-mode wireless charging integrated circuit (IC) and the CrossMount hardware and software sharing standard (see video below).